Double and King Size mattresses in stock for quick delivery , Call for Details , Special price for customers in Norfolk and suffolk . The Highgrove Panache 2000 Luxe mattress offers a luxury medium feel mattress with a opulent knitted cover and generous layers of lambs wool and silk fillings on each side of this fully turnable mattress. The top cover of the mattress is hand tufted and is made with a opulent plush sorrento stretch knitted fabric with Blickling cashmere entwined in to the top cover. The mattress is available in all sizes. 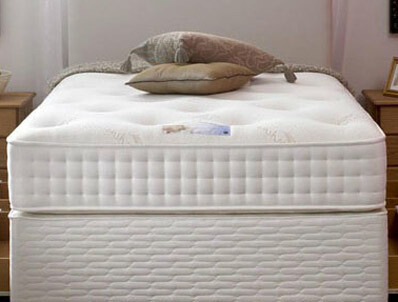 The mattress comes with a 1 year guarantee plus a 4 year warranty. 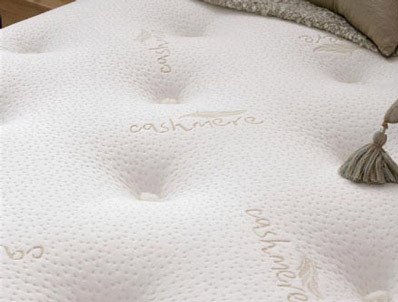 We have this mattress on our shop floor for you to come and try any questions about the mattress please feel free to call . Available in all sizes including Large Single 3ft6"